Sri Lanka‘s Supreme Court has overturned President Maithripala Sirisena’s decision to dissolve parliament and ordered a halt to preparations for snap elections. The decision on Tuesday was the latest in a protracted political crisis triggered by Sirisena’s surprise move on October 26 to fire Prime Minister Ranil Wickremesinghe and replace him with Mahinda Rajapaksa, a controversial former president. Both men, however, are claiming the post of prime minister, and Wickremesinghe is holed up in the official residence and refusing to step down. The 225-member parliament is expected to reconvene on Wednesday and go ahead with a vote to test if Rajapaksa is able to summon a majority in the legislature. “I will go to parliament tomorrow and we will show we are the legitimate government of Sri Lanka,” Wickremesinghe said at the Temple Trees residence. The people have won their first victory. Let’s go forward and re-establish the sovereignty of the people in our beloved country. For its part, Rajapaksa’s party said they will appeal to a fuller bench of the highest court in the land to reconsider Tuesday’s decision. The former president’s son, a lawmaker, took to Twitter to deny speculation that his father was planning to step down and avoid facing a vote in parliament. Rumors circulating that PM @PresRajapaksa resigning is completely false. We will all attend parliament tomorrow. The decision by the Supreme Court is an interim order to consider the case and “not” the final decision. The ruling came a day after political parties petitioned the court against the president’s decision last week to dissolve parliament and call for a snap vote on January 5. The three-judge bench headed by the Chief Justice Nalin Perera read out the landmark decision to a packed court in the capital, Colombo. The court also said it would give a final verdict on the petition on December 7, after three more days of hearings. 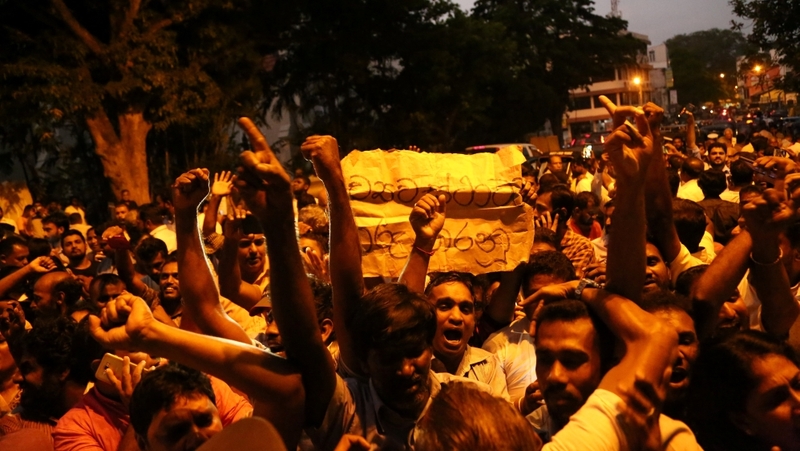 “[This decision] effectively says the court believes … the president has acted unconstitutionally in dissolving the parliament,” Al Jazeera’s Bernard Smith, reporting from Colombo, said. Sajith Premadasa, a legislator with Wickremesinghe’s United National Party (UNP), hailed the ruling. “We have an independent and just judiciary, correctly interpreting the provisions and stipulations in the constitution and binding by all the legal norms to promote democracy, justice and fairness,” he told Al Jazeera. 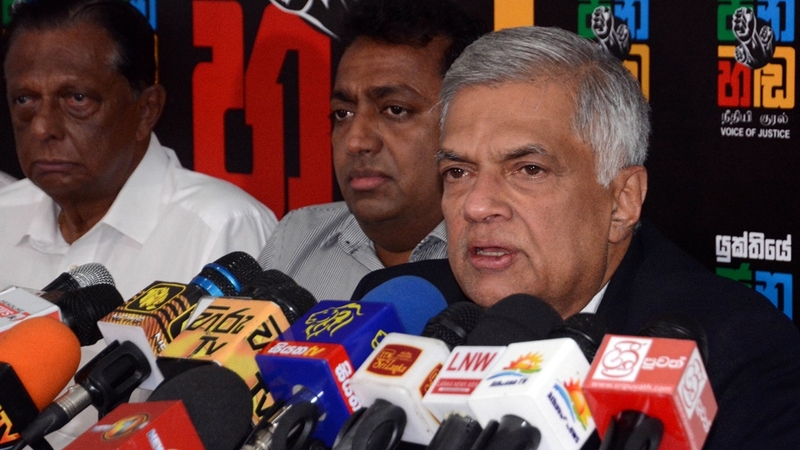 The UNP had “vehemently” rejected the sacking of the parliament and demanded a House vote to prove that the deposed leader still had the backing of at least 113 legislators. Hours before Sirisena dissolved parliament on Friday, his coalition had admitted it could not muster enough parliamentary support for the president’s nominee. “If that vote goes ahead in parliament on Wednesday, and Wickremesinghe is reconfirmed prime minister, that means Rajapaksa is out after having been appointed very controversially by the president,” Al Jazeera’s Smith said. “It is a very difficult time, particularly for the president,” he added. Security at the courtroom was beefed up ahead of the hearing as authorities feared clashes between rival supporters. However, there was no trouble and supporters of Sirisena left peacefully when it was known that parliament had been restored. The United States, European Union and other members of the international community have raised concerns over the crisis. Only China has recognised the appointment of Rajapaksa, who during his decade as president until 2015 relied heavily on Beijing for diplomatic and financial support.